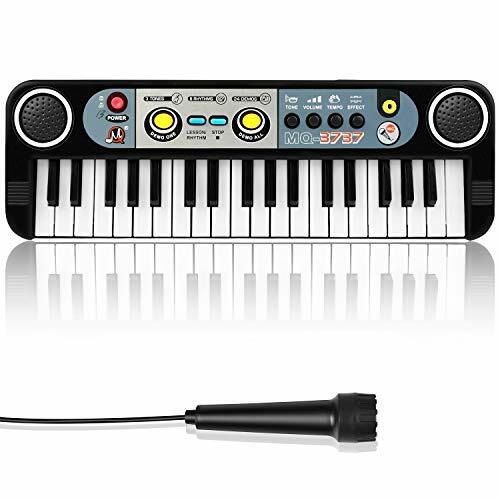 This little keyboard comes with a ton of amazing sounds and great playing features. this 61 key electronic piano keyboard! 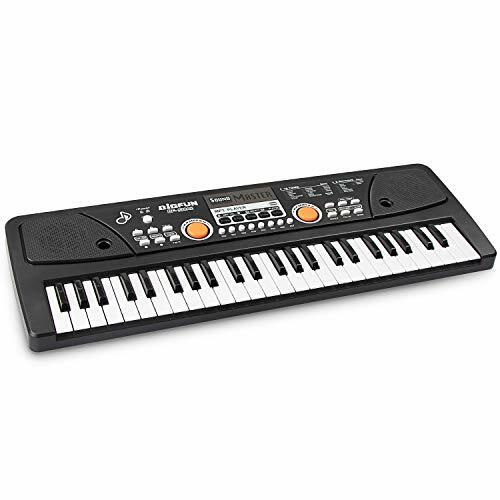 PERFECT FOR PIANO BEGINNERS: 61 standard keys, restore real piano keys width and key distance, with recording / programming / playback function, professional, suitable for beginners to practice. SITABLE FOR TEACHING: It can be used with 128 kinds of tone, 128 kinds of rhythm, 15 demonstration songs. 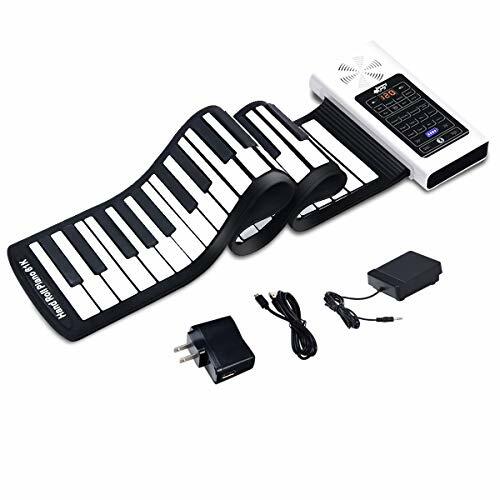 MULTIFUNCTIONAL : It features built-in speaker and multi-functional interface, support midi line and computer connection, and also support MP3 player, transposition, bluetooth function, which meet your various needs and achieve more creation. OUTPUT : 500MV, built-in 3.7V 1200mAh lithium battery( Supply for 12 hours), Midi out, USB 5V power supply function. ENJOY YOUR PIANO PRACTICE: Silica gel raw material refined. Roll it up and put it inside the included pouch for easy storage or travel with ease. Get rid of the limitation of space.